Pay-per-click (PPC) and search engine optimization (SEO) are tactics marketers have been using since the mid-1990s. And for the better part of the past two and a half decades, these two tactics have been utilized separately. However, since Google keeps getting smarter and more aggressive about giving internet searchers the best results, we find using these two tactics together increases the success for both endeavors. SEO is the work you put into the backend of your website ensure search engines understand what your site is about and prove that your website will provide a good experience to internet users the search engines direct to your site. Common SEO tactics include optimizing content for keywords or topics, compressing images for faster load times, making your website mobile responsive, and adding meta data where search engines look for information, such as image alt text and page titles. PPC is an internet advertising model used to direct traffic to websites that pay to be listed above organic search results. The website owner is charged when a user clicks on the ad. In the beginning, only search engines offered this type of advertising, but the model has spread to newer media such as social media, streaming services, and smartphone apps. This case study will examine two Tribute Media clients, one that had previously focused only on PPC but without much attention to organic optimization efforts, and another that had primarily invested in SEO strategy rather than paying to be in the top search results. Intermountain Pet Hospital partnered with Tribute Media to strategize and implement digital marketing efforts in the summer of 2015. In November 2015, we started a Google Ads pay-per-click campaign. Since PPC advertising is generally a short-term tactic used to give campaigns an initial boost, we knew we needed to optimize the entire website quickly to take advantage of the increased traffic from the Google Ads campaign. Meridian Floral initially hired Tribute Media to help with their Google Ads campaign. They were seeing click-through-rates between 1-2%, well below the industry average of 2.5-3% CTR (click-through-rate). When Tribute Media first started optimizing their campaigns, we were able to immediately boost their click-through-rate between 3-4%, but we knew we could do better. 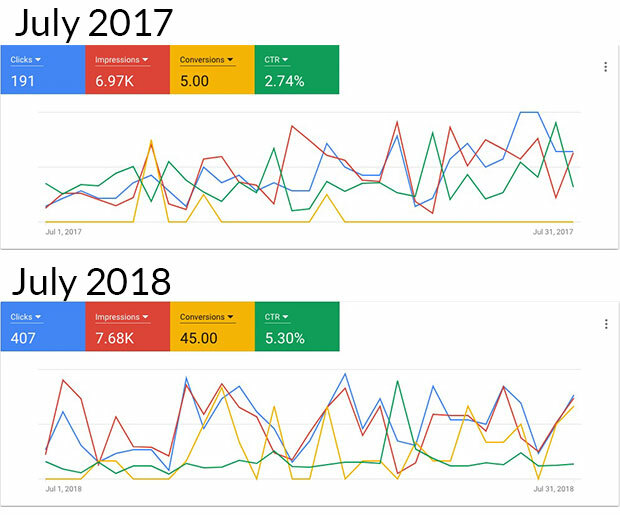 The Google Ads pay-per-click campaign started with a great click-through-rate and conversion rate, but we were not happy with how slow the organic traffic had been growing since we launched their new site in 2015. We turned our attention to testing existing and new organic search terms that Intermountian Pet Hospital wanted to be found for. Even though Tribute Media had increased Meridian Floral's CTR to an industry standard level, we knew we could do even better if they added SEO services to their strategy. In November 2017, Meridian Floral increased their contract with Tribute Media to include SEO. We got right to work, optimizing every page on the website to align with the objectives of the Google Ads campaign. 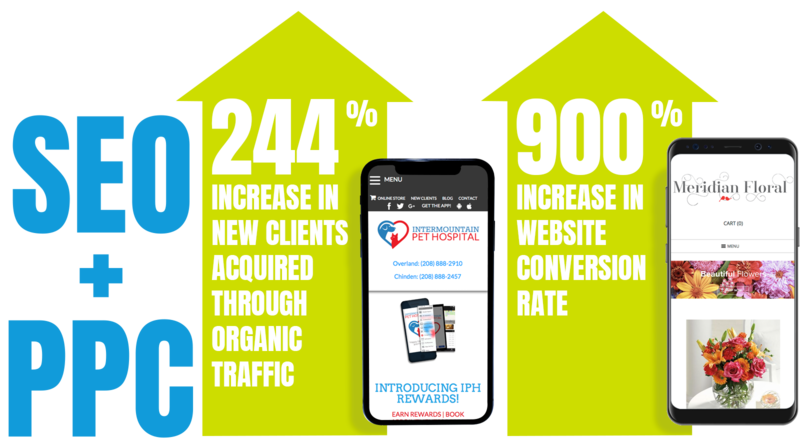 Intermountain Pet Hospital was able to use PPC to boost their SEO efforts, which ultimately led to more new customer acquisitions with organic search than paid search. Meridian Floral had been seeing minimal results with their online paid activity since they began in 2014. When they added SEO services at the end of 2017, the return on their PPC campaigns enjoyed significant boosts in performance.  Using PPC and SEO is the perfect example of a win-win situation, as we see in the above examples. 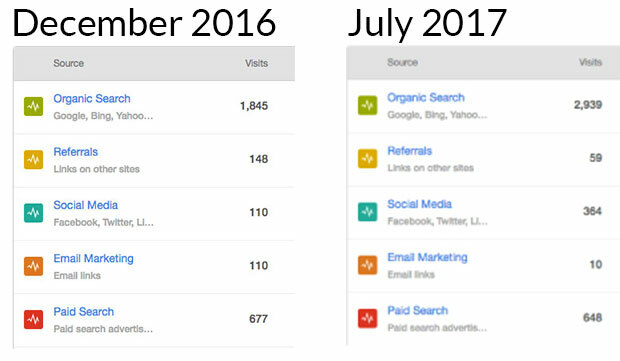 Two very different companies, with different goals, were about to implement and use the same tactics to boost leads and customers.